“I started with an enormous, elaborate design but in the end switched to a smaller 2 set (+10 balls) man standing on his head with pretty basic design techniques.” It’s a novel and inspiring clean design. As an icon among eight others, it’s simplicity stands out strong. 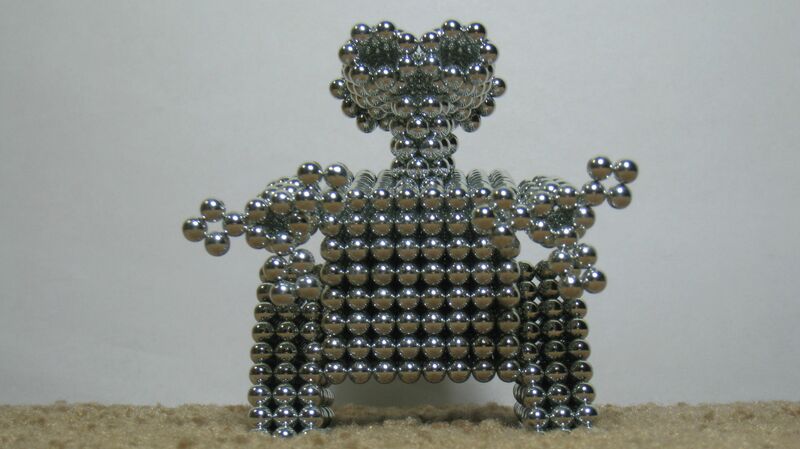 One of the most fun poses a two set magnet man could hold! 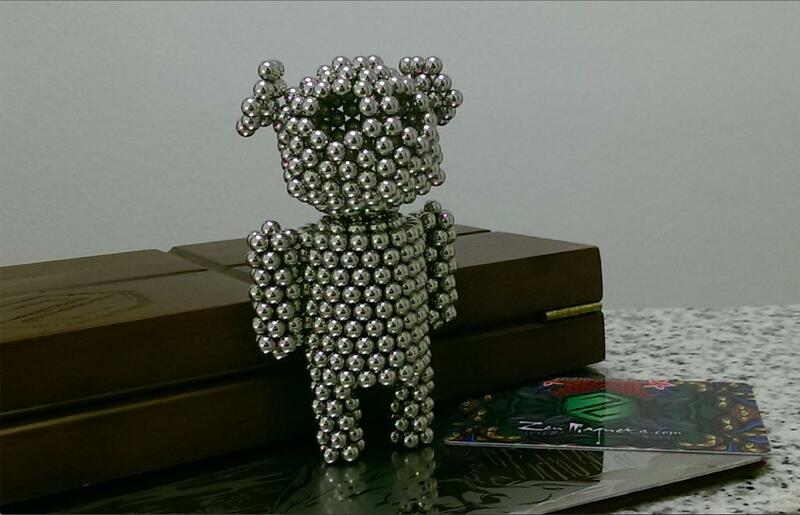 Poolshark wins $65 in Zen Credits, usable at ZenMagnets.com or Neoballs.com. Titled: Sit down and enjoy the view! 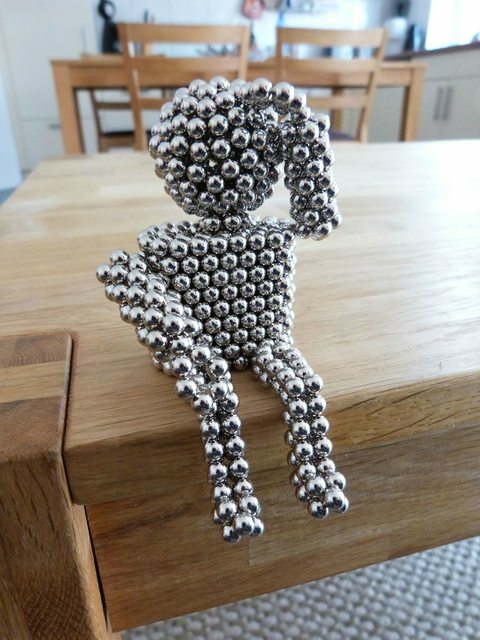 This magnet man is taking a rest after what must have been a difficult climb up to the kitchen table. Wiping sweat off the brow perhaps? A very crisp high resolution shot with a well captured plane of focus. $55 Zen Credits won, also redeemable for half of the face value in Bitcoin. 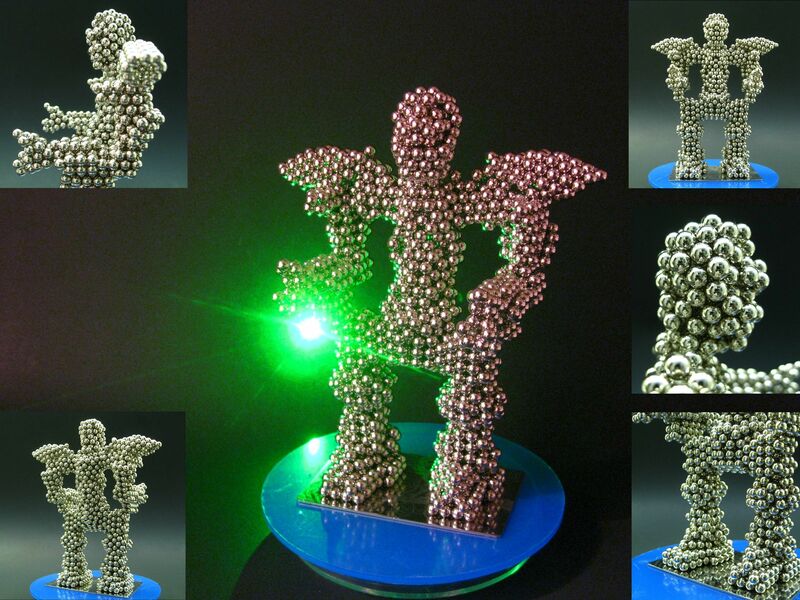 1633 Zen Magnets used in Tend2it’s third iteration of his Mecha Warrior. Now upgraded with blaster systems in both arms below the shoulder plates. One laser canon firing. The headpiece is quite articulately expressed. 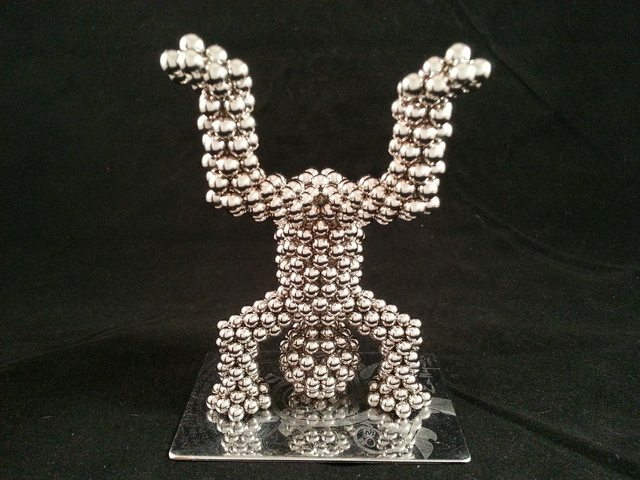 See all angles in this video. $45 Zen Awarded. Created during the Sochi Olympic games, this is a ski jumber right after landing a Telemark. The pose reflects the typical struggle seen after landing. 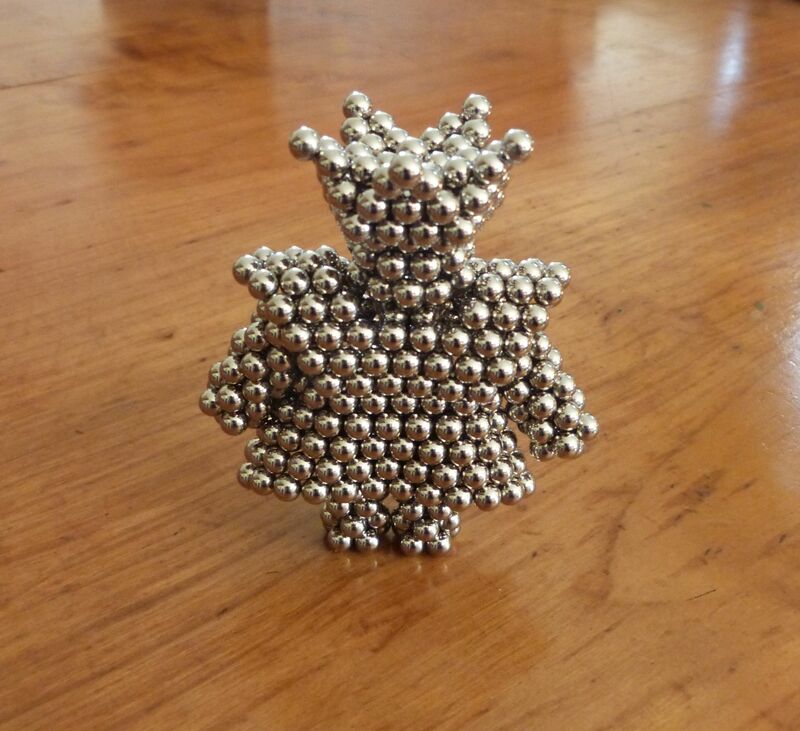 Created from 819 Zen Magnets in forms exclusively of rings and triangles. $35 Prize awarded. Spectators, keep your eye out for the conclusion of contest 39 as well! 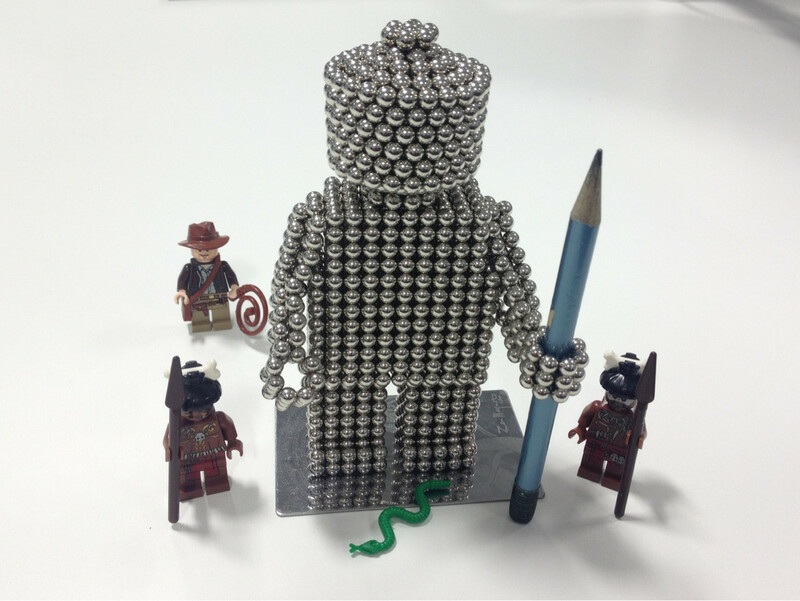 Submissions close on the last day of April, and the turnout is incredible. 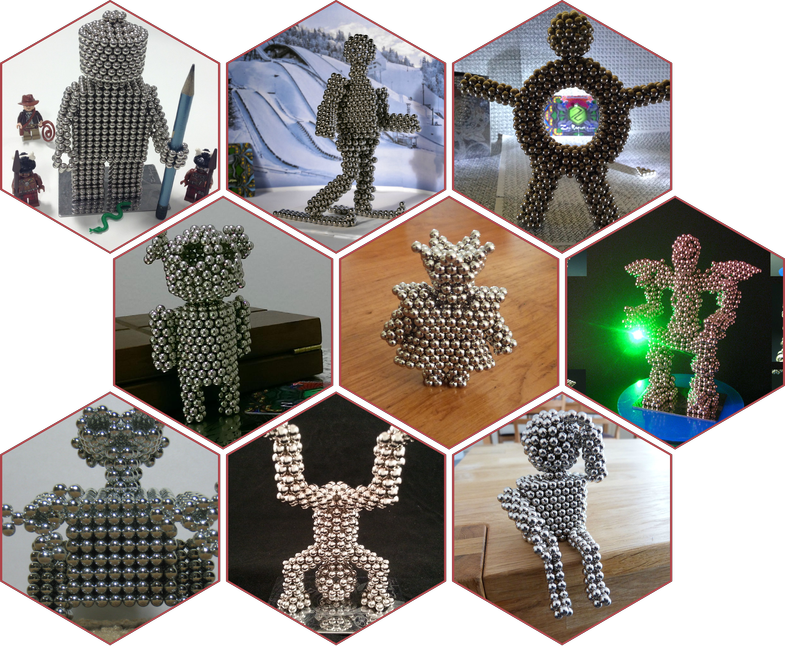 9 Entries for the February 2014 Humanoid contest. 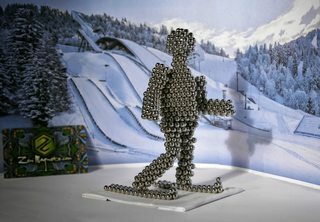 Judges, remember that this contest is a photography contest just as much as it is a magnet sculpture contest, overall aesthetic does matter. Voting deadline is the end of March.